Use the Phila Mercury Board Please - This message board has now moved here. I suggest that you create a Phila Mercury registration as "regular" rather than "post only". In either case, a single login will last an extended period of time. The regular registration will allow you to use all of the functions. The new board doesn't like AOL. So, please post here only if you are bound by AOL and I will transfer the post to the new board. Bomar's Third Edition is complete on CD and ready for distribution. If printed out, it would be over 800 pages. Files are in .pdf format, viewable with Adobe Reader or equivalent. 98% of the illustrations are in color. All expos and worlds fairs from the second edition have expanded coverage with new markings where appropriate, and revised earliest/latest known dates of use. In addition, I have added much information on regional and industrial expos, some of which Bomar mentioned in passing at the end of the second edition, and some of which have never been reported. In many instances, the only postal artifacts from these are advertising covers/cards or advertising labels. Appendices include short biographies on prominent collectors of exposition material. Four free copies will be sent out this week. - Ellen Peachey of APRL. Cost of the CD is $56.00 which includes sending via priority mail. Each purchaser is granted a license to print one copy of any or all pages. Statement to that effect on inside of dust cover. I already found I could edit my first post. It was pretty easy. Do you still want me to delete it or the next one? I'll do so if you wish. BTW, how do I edit my registration. I'll get rid of the jimbonita. Jimbo - No need to kill Jimbonita, just register again and I'll see if I can kill the old one. Looks like bold has to be done using the formats at top of message box. So much for that solution! The Email Address specified already has a password associated with it. Only one password per email address is allowed. Use the Back Button on your web browser to return to the previous page and correct the error. Hijacked Computers are just no damn' fun! Having just recovered from a hijacking by WinAntiVirusPro2006-2007, Richard has my sympathy. It took me well over two weeks as I tried to get rid of the nasty hijacker. None of the available solutions worked. The final solution was to salvage the application data that was possible and then cleaning the hard drive and reinstalling Windows XP Professional. That left me with having to reinstall all of my applications. I'm still trying to get them back to the pre-hijack status. This experience is why the response when I attempted to log on to Richard's board was so scary. The thought of having to repeat the process was blood-curdling - really! That seems to have worked! I think this works now. One thing that may be of use is a log note which says something like "message edited at time/date.' As it stands now, it appears that messages can be edited ad infinitum. That could lead to confusion. I can imagine an insult which is corrected after the response has been posted. It could lead to some unnecessary confrontations. People could also correct their errors and the comments could forever point out their error. I'll see if that can be done. I can also get rid of the format bar which would enable HTML. I had to delete the link text. Password acqisition was quick and easy. No checking post. I don't see a preview button yet still looking. Found it, little magnifying glass on left! Now looking for spell check. Found it on far right. maybe you can't vote if you were not registered when the vote was posted? Preview button second in from left. The link generator doesn't seem to work properly (as expected) however, the "<>" icon allows one to edit the HTML directly. If you click on user name it shows email address of registered user. Gerry....both formats work for your pics. Richard....But they open in the same window. It would be nice to have the capability to open a link in a new window. If I click on the name of the individual who posted the message, I can see their email address. Is there a way to make this private? So far those are my only criticisms. David - Yes I can turn that feature off but only as a universal variable. I don't know if it is a good thing or bad thing to have emails - there doesn't appear to be a private messaging system available. Will this site include search capability? Have to go to work now. Check back later. So far I like the capabilities of this site. Especially like link without hypertext. I made a lot of bad posts on the current site before I figured that out. Spell check and formatting looks good too. Thank you for your efforts to keep the board going. Registration and posting were a breeze. Gerry - There is a search button above the main message center. I haven't tried it - maybe only works after a "spider" - also don't know how many posts fit on a page. Just registered, with ease. Seems to work fine. Looks fine to me. I too am concrned about the access to our e-mail address. Hi! After some days without the possibility to enter the regular board this now works fine for me. Hasta luego. This board has an FTP ability that I think allows users to upload images onto the site directly. I am hesitant to employ it. Thoughts welcome. First post. Richard- I would be curious to know if the width is adjustable, or can be adjusted. I liked the width of the posts on the old board better. This test format takes up a lot of space vertically, and doesn't maximize the horizontal space available (on my screen). Bill L - I was on the phone with support regarding this very matter when you posted. I can't control it and any change made by the host would entail change on all hosted boards. I will lobby for that but don't expect any change. I'm using the Mac posting page. The width is perfect for me, the text is black, and I love the idea of having a spell checker. A feature I really like on the old Board is having the "posters" name at the top of his post in "normal" size font. These windows show the names at the end of the post and in a very small font, which makes the post "topic" appear much more important than the person. I like the idea of the person being more important. Roger - I suppose we can, by convention, list our names in title. Just checking in for the first time. Trial message using Mac Safari browser. Kudos to the ever-accomodating Richard (and Matt) . . . I should mention that this board has flexibility and can be expanded with additional "forums" added should I/we decide. I think using names in the message title box is a good idea. Jeff W - Please check your URL - should work if you have the image online. The FTP function is not active. added: Jeff the URL: http://lh6.google.co.uk/image/jeffanddana/Rm78gs1pJJI/AAAAAAAAAEY/9c7Ru10FMGo/1904-02-13-GSY-to-Ohio-shortpaid-300.jpg won't open directly in my browser - that might be the problem. Mark R - Try editing your post with "<>" icon which allows direct access to the HTML code. Now you have "fixed" the width of the Board, I must scroll sideways. The Board doesn't expand and contract according to our browser windows as does the old board. I have to admit this problem is one of the reasons I rarely visited Mauro's Board after he started it, every line must be scrolled right sideways, then back to the left to start reading the next line! Maybe reverting to your first width will work while users adjust their font size according their preferred window width. I know this is just the saem as laying out an exhibition page. Just as you think you get it right, someone else looks at it and asks, "Why did you do that?" Chip G - There is one of those stupid "hover" popups that has the text you describe. Doubt if I can kill it. Roger - Maybe I can figure out the appropriate HTML needed to adjust the width to the browser being used. If anybody else can help with the needed HTML, please email me. PS - Have to take a break - three days with various boards has made my head ache! Finally received my Harmers lots won mid last month. They didn't have me down as paying, even though my bank statement showed my check cleared end of May. After an apology for their mistake, my lots arrived today. On the Bennett Auction, after waiting a couple weeks for an invoice to arrive, I had to finally call to get one sent. They said one should have been sent already but it never got to me. I guess I should be thankful that at least the lots weren't lost in transit! John M- I too had to follow up with them on my lots. They did look very busy putting together several auctions when we were there. Test post with link to image. Can't seem to find a link to change my password or email address. Anyone know how to get to such a link? Chip G - There is no profile page with this system. I can kill your old registration or you can register again with a new email and new password. I am now registered on this board. Richard, Thanks for finding a new site. I really like the search feature. If we all put our names in the topic window, and "salute" the person we are communicating with by name, a search of either person's name results in a readable thread (with a few inconsistancies when users have the same first name). If we adapt a convention from the start, open for suggestions, it will make searching the archives very easy. There are other search possibilities I haven't thought of. I changed my Guernsey post to pull the picture from photobucket, can you see it now? Separately, I've sent you an e-mail illustrating that I can see the image in my browser. Registration was a breeze...........the Malware popup that occurred when I'd visit board first thing in the morning was very disturbing. Thanks, Richard & Matt for resolving this. Just seeing if I can get in. Testing a message. Thanks for all your and Matt's hard work in setting up and maintaining this message board. David Snow.....If you are out there lurking, please "e" me regarding the August show in Portland. I have a very unusual request, well at least it will seem strange at first glance. I like this board but I wish the right click was not disabled. If someone posts a photo and you want to save it, you have to go to the source code to get the URL. Otherwise this site seems to be an improvement. thanks for responding to my email over night. It's official. Board has now moved here. Still a few bugs to work out but I think it will be better. David D - I would vote that your circular clearly seems to be prepaid for the Cunard line. I had one of those - they are very rare. While there should be the Canadian due marking, obviously that was not always applied. It's Unanimous! Move is final. thanks for the vote. You have a circular on your webpage that that you indicate was paid through. Was there anything in the postal treaty with Canada that allowed for payment of printed matter to destination? In looking at the Nova Scotia postal regulations, it appears that they were always to collect postage due from the lines for printed matter. 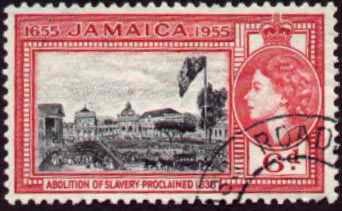 While you are looking at the wrapper - are the stamps type IV (#9)? I think they are, but I'm never too sure about 1 cent 1851s. The image http://dalessandris.net/pm1851.aspx might be a bit clearer. David D - To my knowledge, it was illegal to "pay through" during this time period. Postage was still "to the lines" if I recall. The circular I had, appears to have been accepted as paid through. There was a lot of misunderstanding and confusion during this time period about rates to Canada, among the public, and even some postmasters it seems. In the case of your circular, since it went to Halifax, I'm playing the odds by guessing it was most likely the Cunard line and not a land route. However, the St Johns address crossed-out, does bring some question into that, I agree. It reminds me a bit of this cover, which went via St Johns to Halifax. David D - Hard to be sure from that scan about the 1c stamps. If you could blow them up a bit more, that would help. I had to kill some messages on the old site so the spammers wouldn't re-direct the site before the link to this site was visible. Fortunes of war, etc. Sorry. Mark - the transit markings on the back of my 2 cent printed matter wrapper show that it went overland to Halifax, and not by Cunard Line packet. This still leaves open the question of whether the sender paid 2 cents with the intent that it be sent by Cunard Line. David D - I had assumed there was no transit information on it. Given what you said, I don't know how you will be able to be sure what the sender meant. Similar issue with that 7c cover to Halifax I posted. 1) The sender might have thought it was going via Cunard, but instead it went overland, and was overpaid. Most likely I think. 2) Similarly, the sender might have attempted to pay-through the letter overland. I think this is less likely than #1. 3) I don't remember the (multiple) rate schedule for circulars to Canada. What does your circular look like? Is it one printed sheet that is clearly just one circular? Is it a wrapper? etc. If you just have one simple vanilla printed circular, I would vote for #1 above, as that, I think would be most likely. Just my gut feel. David D - duh. You said it was a wrapper, I missed that sorry. Well, it could have been a multiple rate then, if it had multiple circulars in it. Maybe that is the explanation. This is my first post on this board. I collect used worldwide stamps in Scott international albums till 1995. I also collect mint US, Palestine, Israel, UN, Iceland, Baltic States and a few others in Scott specialty albums using mounts. I also collect Israel First Day Covers. I just purchased a specialty album for People's republic of China in which to mount mint Chinese stamps which I inherited from my father. I buy and sometimes sell on Ebay using id djs127. I also sell at one or two New Jersey stamp shows per year. I closed the old Grinnell Board and archived the posts in a 270 page PDF file which can be downloaded or viewed from a link on Mercury Project link page. What are the rules for posting pictures on the board? K-E - No rules for now although I expect most users would still prefer links - If you just copy and paste the URL into message box, that should appear as a straight clickable URL. are users authorized to modify their own messages? I tried to modify my message #1225996 to convert the image to link and I got a message saying that I did not have permission to modify the message. why is there 2¢ postage on this wrapper? Did it weigh over 3 ounces? Or was the sender attempting to prepay the cover to destination in the Maritimes? 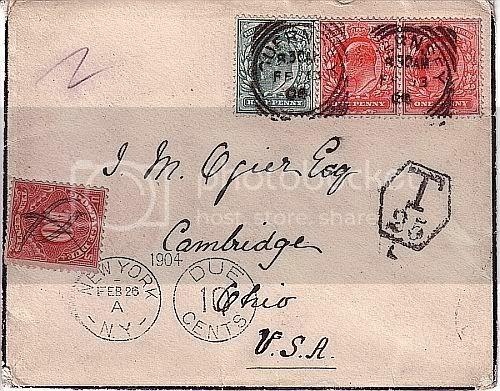 Or did the sender prepay the 2¢ circular rate by the Cunard line? Or is it impossible to tell for sure? David D - That is my fault. I was playing earlier trying to figure out why the right-click wasn't showing and modified your post. I suspect that once it is modified by moderator, originator can no longer change it. I fixed it now. Looking forward to seeing some of you at Stampshow in August. Contact information is below. Welcome to the board. I am an ex-Islander living on Cape Cod. I collect Staten Island postal history. Should you have some to sell now or in the future please contact me. Hi Richard, always read the old board but never dropped in. Looks very good! My interests mainly BCA, Nyasaland, Hong Kong and whatever else starts to take my fancy. Peter - AKA Greenwave4u from the chat board. As you have shown a bit of interest in my Bosnia and Herzegivina collection, I will show how it's look so far. I have a friend in Croatia, who help me obtaining stamps from Bosnia and he happends to be expertizer of this area, so all the better stamps have a cert. What a nice bulletin board! I recently picked up this 1904 cover from Guernsey to Ohio over here and was wondering if the 10c Postage Due is correctly used? Were PDs normally cancelled in pen? Otherwise, it's quite nice showing a '2' for double weight, casket T/25/L taxe cachet applied at London and an opera glass 10c due added at NYC.